A makeup artist is any bride’s best friend. She is the one responsible for making you look your best on your wedding day by highlighting your best features. She can also help you achieve your dream look, which will perfectly suit your chosen wedding theme. Do you want to try airbrush makeup on your wedding day? Hazel Gonzales can do it for you. Through her talent, versatility, and eye for detail, you are sure to have a flawless look on your special day. You will be the center of attraction, definitely. Trust her, for she has already done the same thing for several models and celebrities. Clueless about makeup artistry? Ask people at Nowellyn Pahanel Salon and get the answers you need. Whether you want to know how to make sure your bridal look is intact throughout the ceremony or are wondering what else to do to improve your bridal look, feel free to talk to them. They are knowledgeable, so they know what to do. Like other entrepreneurs, Ms. Lin also knows how to tinker with technology. For one, learning the basics of marketing is important especially through social media. This entails regularity of posts and updates of activities to clients. More importantly, this means that queries of clients must be responded consistently. On-time feedback is a must to show genuine customer care. Ms. Lin tries her best to post her activities and products on her website and social networking accounts as religiously as she can. Apart from being the official top-booker for the Hair and Makeup Category during the Weddings and Debut Expo held at the Mega Trade Hall in 2013, CJ Jimenez was also awarded as Top Brands Makeup Artist of the Year for 2013. This just goes to show how people trust her and how good she is at what she is doing. No wonder, she was also chosen a POND’s Beauty Ambassador. 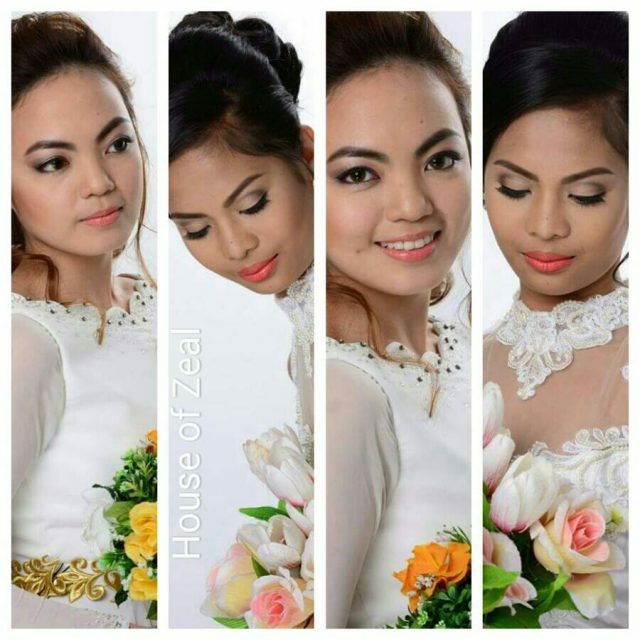 To learn more about these makeup artists, visit their Kasal.com profiles.